It is time for another skincare review! This time it is about the Rodial Snake Moisturiser O2 and Eye Cream O2. These items were kindly gifted to me by Mooi PR, thank you so much! I heard a lot of great things about Rodial like their Dragons Blood collection. I always wanted to try Rodial, so this was a great opportunity! I was instantly mesmerized by the name “Snake”. 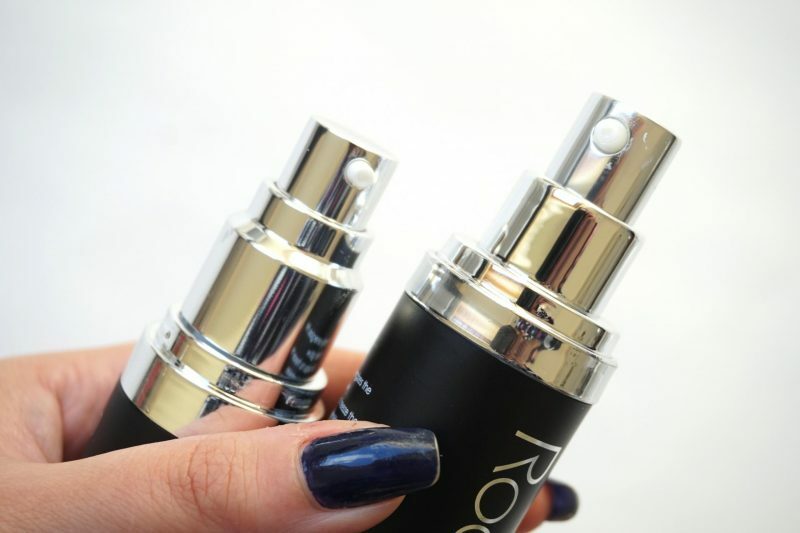 What is so different about this eye cream and moisturiser and what are the results? Let’s get started! 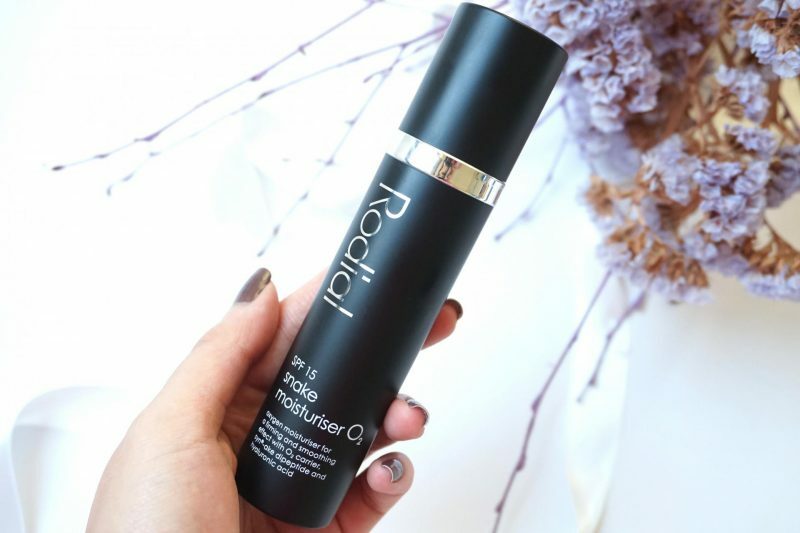 Maria Hatzistefanis created Rodial after seeing a gap in the market for high performance skincare offering targeted, results-driven treatments. 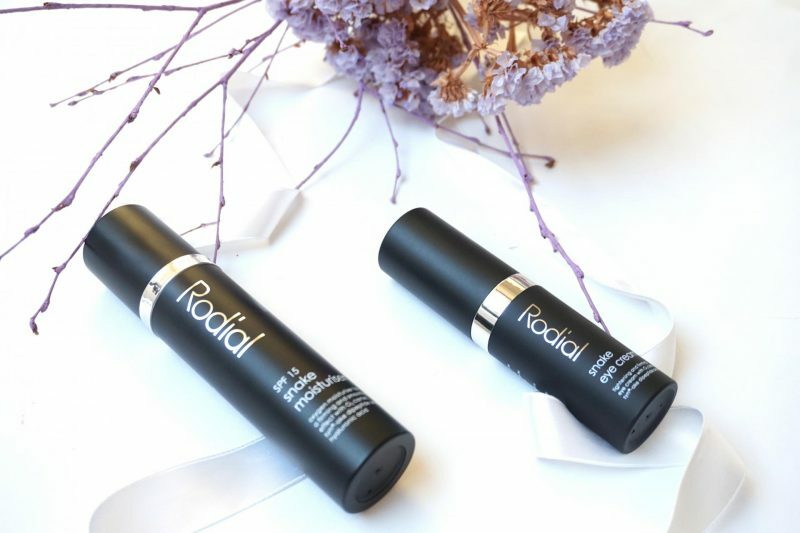 Pairing world-class anti-ageing ingredients with ground-breaking innovation, Rodial products are high-performance skincare essentials to address a range of skin concerns. 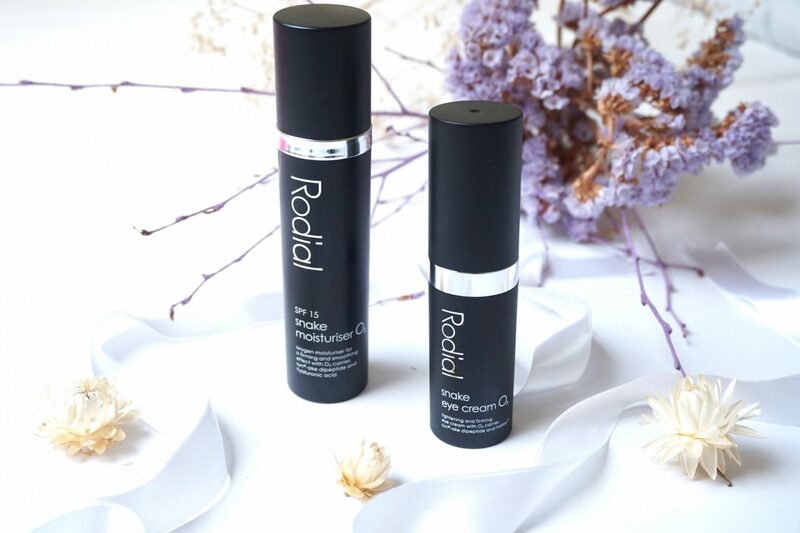 All Rodial products contain namesake Pomegranate Ellagic Tannin which naturally helps to firm the skin and boost collagen production revealing a more youthful complexion. Like a ‘shot of caffeine’ for the skin, this lightweight but nourishing moisturiser instantly firms and smooths the skin, reducing the appearance of fine lines. 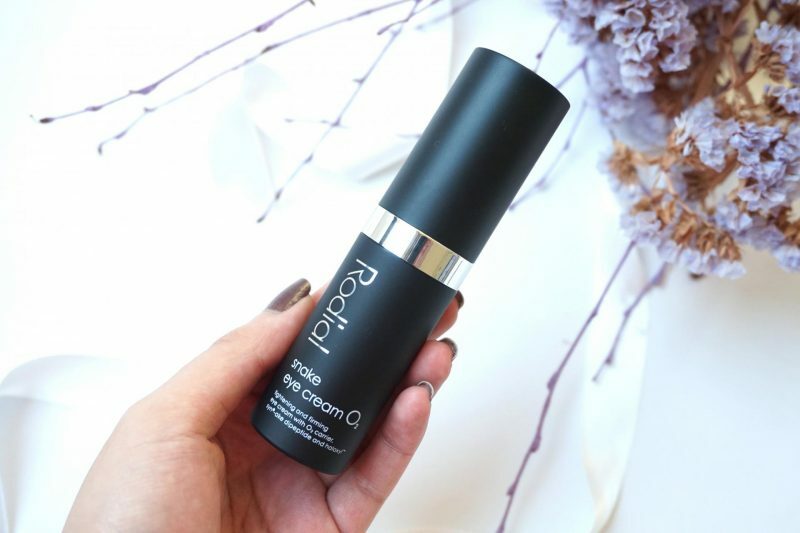 The O2 carrier provides an instant energising effect, boosting circulation and revitalising appearance of the complexion. Our unique Syn®-Ake dipeptide works to reduce muscle contractions to help reduce appearance of expression lines and wrinkles. An ideal base for makeup, this moisturiser is great for those with combination skin who are looking for anti-ageing benefits. Practical and hygienic airless pump-packaging helps improve the efficiency of the product. Instantly tighten and firm the appearance of laughter lines and expression lines around the eyes with this powerful eye cream. Containing a double shot of our unique Syn®-Ake dipeptide, this lightweight yet velvety texture cream provides an energising sensation to the eye area to help cool and de-puff. Addition of Vitamin C also works to help lighten appearance of dark circles. The Snake Moisturiser O2 is packaged in a slick black bottle like the Eye Cream. It contains 50ml which is a reasonable amount if you compare it to the price you pay for this product. 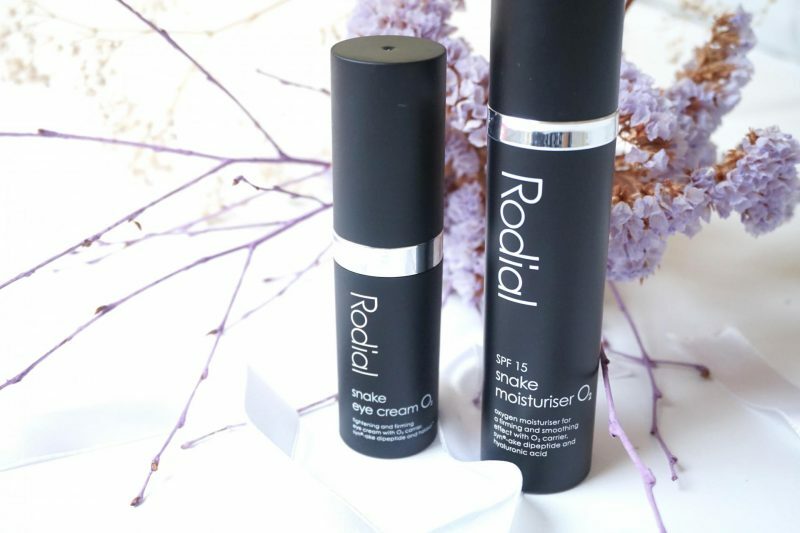 The first thing I noticed is that all the products of Rodial (after doing some research) have a very simple but outstanding packaging. Every line has its own color so you can recognize them easily. The Snake line is obviously black as you can see. The moisturiser has an amazing fresh scent, it really creates an energizing effect when you use it! It’s exactly what they say: “shot of caffeine”. If I must describe the scent it is like oranges and lemons, a really fresh sensation. The product itself is a white consistency which feels like gel but a little bit thicker. It blends easily and it will instantly absorb into your skin. 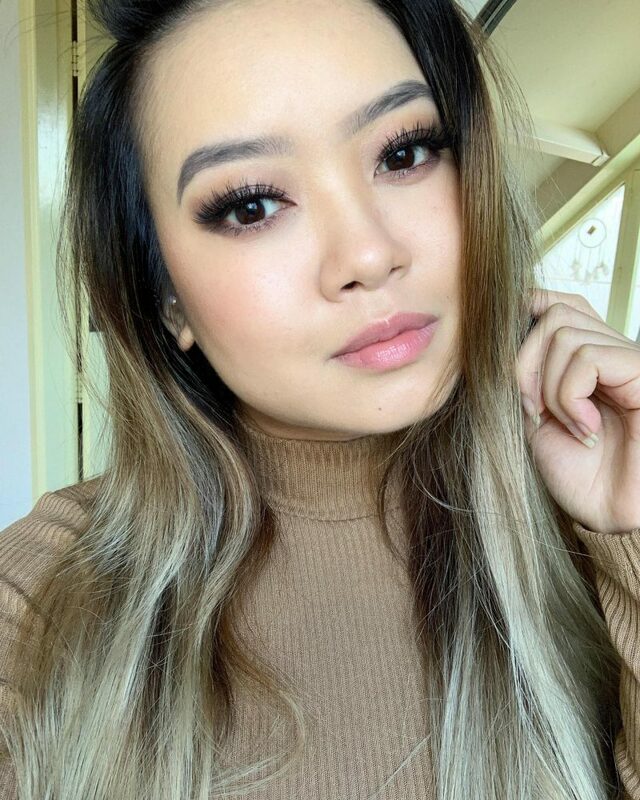 My face feels super soft without a sticky feeling, great when you are in a rush and need to apply your makeup right away. I used the moisturiser with and without makeup and I have to say that it makes my skin a little bit more oily than I usually am. Especially my nose and forehead, but you can use your tools (blottingpapers or Blotterazzi by Beautyblender) to wipe away the excess oily. I’m already used to that problem, not one moisturiser in the world made my skin look matte the whole day! The most amazing thing about this product is that it really brightens your face instantly! It is because of the vitamin C and the main reason why this moisturiser smells like oranges and lemons. 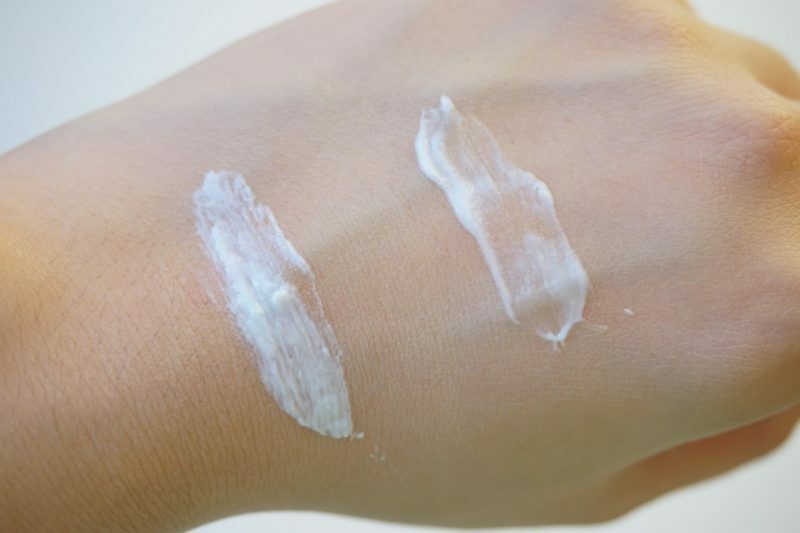 Also, keep in mind that even tho this moisturiser contains SPF15, always use a sunscreen on top of it to fully protect your skin from the sun radiance! The anti-ageing benefits of this moisturiser are not really visible yet! I used it over a month or so (on and off) and I noticed that me cheeks felt different. Yes, my chubby fat cheeks finally started to change! They felt more soft, less pores and overall it just looked more smooth. The ‘freeze’ muscle contractions are maybe the feeling that my cheeks look less chubby or something. I don’t know what happened but my face looks slimmer know while my body got fatter! Is it because of this moisturiser? I don’t really know. The moment when I pumped the product out of the bottle I noticed that is was very easy to get a specific amount of product out of the pump. With other products (let’s say MAC Pro Longwear Concealer) you pump one time and a huge amount of product will come out, such a waste of product! Great that Rodial thought about that so you will get the perfect amount. I love eye cream! When I go to the store and they provide samples, I always ask (insist) for eye cream! I think I’m so fascinated by eye cream because I want to postpone the appearance of my lines around the eyes. My mom had an eyelid correction because at the age 50 she had a lot of lines and loose skin above her eye. So that’s why I don’t want to risk the same problem (I think I will still get it, DNA people!). The product is almost the same as the moisturiser but less thick. When you apply it underneath your eyes and under the brow bow, it really needs a few rubs before it will absorb into the skin. Use this moment to massage around your eyes, that’s what I usually do. The fragrance is more subtile than the moisturiser: fresh oranges and lemons, like a morning shake! The fragrance and the light texture of this eye cream will open your eyes, because it creates a cooling effect. This is something you can’t mis, the fresh tingly sensation. Be carefull when you use it, it really irritates the eyes when you accidentally (no, on purpose) get it in your eyes! When I have my day off, I usually one use a toner and an eye cream. This eye cream is perfect with or without your regular skincare routine. On lazy days when I use it by itself it will give my under eye area an cooling effect which makes me feel more awake and energised. It will keep the skin hydrated all day without making it feel heavy on the skin. With other eye creams I have the feeling that it doesn’t do much for me except hydrating the skin. With the Snake Eye Cream I feel more awake, the skin underneath feels hydrating, it looks like the skin is more plumped and it brightens my skin. After using both product for about a month I can say that they are not just regular eye cream and moisturiser. They do so much more than only hydrating! I was really curious what the benefits were from these two items, especially because they are so expensive. I have to say that my favorite item is definitely the eye cream: its makes my eyes look more awake, I feel this kind of boost when I use this because of the fragrance and after using it for a while I didn’t have any dry patches under my eyes anymore (usually I have to once every two weeks). The moisturiser is also a great item but you van compare it with the Ginseng line from Origins, it has the same feeling of relaxation. But the results after using this moisturiser after a while are visible around my cheek area which I’m really happy about. I can recommend everyone this eye cream! This is definitely a game changer for my skincare routine, it replaced my current Honey & Jelly Eye Cream from Skinfood. It feels amazing on the skin, non irritating (except when you get it in your eyes) and my dry patches didn’t return after using this for one month. If I will repurchase it? Only when they have a special offer because it’s on the pricy side. But that’s what you pay for: it works! You can get your own Snake Moisturiser O2 SPF 15 (€110) and Snake Eye Cream O2 (€90) at your local Ici Paris XL for my Dutchies. 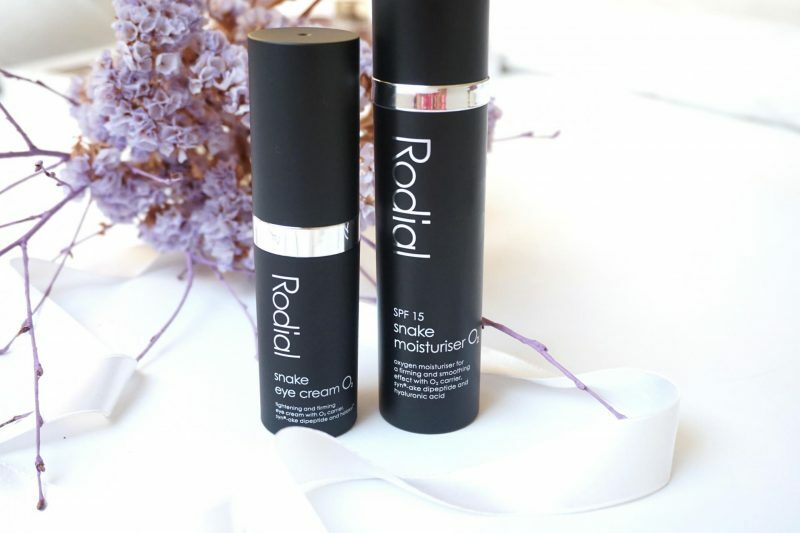 For worldwide shipping, check out the official website of Rodial.co.uk. Wow, the eye cream sounds awesome! My eye area is dry and has dark circles, so that’s great to hear that the eye cream addresses both issues! I’m supposed to get a selection of Rodial products soon, so I’m hoping I get to try this same eye cream!